We offer Texas Western diamondback rattlesnake fangs. These are #1 quality fangs from south Texas. 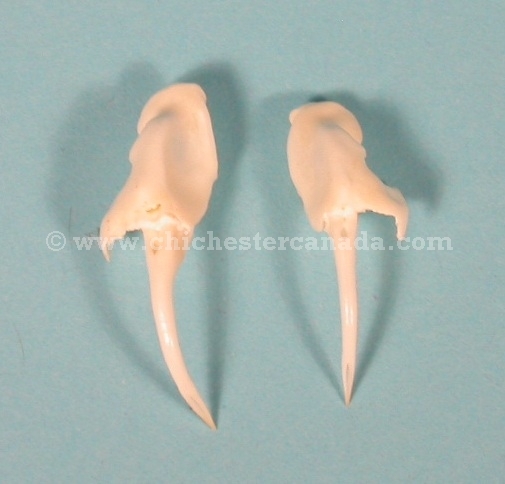 The small fangs are 3/4" to 7/8" long. 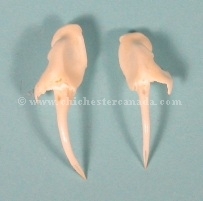 The large fangs are 1" to 1.25" long. For people desiring sets, we try to match the fangs as closely as possible. Texas Western diamondback rattlesnakes are not endangered and are not subject to CITES controls..